Would you like to win $7000 per week for your whole life without doing anything? Isn’t like a dream? Well, you could fulfill your this dream as Publishers Clearing House has brought you the PCH Win $7,000 A Week For Life Sweepstakes 2019 from which you could get a chance to win $7000 per week for whole life. This is the PCH Giveaway No. 13000. Additionally, you could also get a chance to win guaranteed $1 Million cash prize from Second Chance Drawing (Giveaway No. 18000) which will be announced in Special Early Look SuperPrize Event. 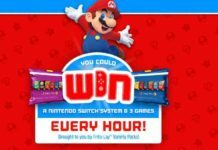 Eligibility: The Pch.com $7,000 Sweepstakes is only open to legal residents of the United States and Canada who are (18) years age or higher at the time of entry into sweepstakes. 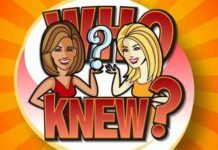 Sweepstakes Period: The PCH Win $7,000 A Week For Life SuperPrize starts at 12:00 p.m. Eastern Time on February 24, 2019 and ends at 11:59 P.M, Eastern Time on April 23, 2019. Giveaway No. 13000: Winner of this giveaway will get $7,000.00 A-Week-For-Life with a guaranteed minimum of $1,000,000.00. How to enter PCH Sweepstakes $7000 a Week for Life? 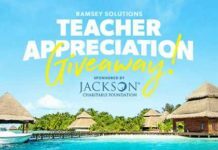 To enter this sweepstakes, Participants need to goto the sweepstakes entry page and follow the on-screen steps. You can enter daily into this PCH $7000 per week contest 2019. Here are the complete steps to enter the sweepstakes. First of all, visit the Sweepstakes entry page. Now you will see “Entry Form” on your screen. Fill up this sweepstakes entry form with all required details such as your name, address, date of birth, email. You can enter daily during Sweepstakes period. I hope to be one of Publishing Clearing House winner of the $7,000 a week for Life prize it would be a dream come true for me and my family ! Angela claiming superprize number 13000 and 8800. I am to claim rightful ownership to win 7,000 a week for life 4x entries during this special early look event on 4/26/19. To Bo sole owner of my prizes..
Want to win $7,000.00 a week for life, looking for final step! It would be a dream come true for me and my wife are kids. All of my dreams would come true! I buy a new home with a yard so my dogs could have a safe place to play! I would findly be able to get away and be happy! I’m entries : VIP, 11000, 13000, 2xEntries To Win 10,000,000.00 I Wish My Dreams Come true For Me And My Family, God Bless Everyone that’s PLAYING……. Yes I hope to be a winner of the $7,000 for life it would be a dream come true two win this prize. Giveaway No. #18000 $1,000,000.00 super-prize Giveaway No. 18000 12/31/19 on April 26, 2019. I want to claim sole ownership of my Certification of Winner’s #4474-5830-1515 Yes I want to Win! IM HERE IM IN IT TOO WIN IT ALL! SO DONT CUT ME OUT! COME A KNOCKIN AT MY DOOR LaLaLaLaLaLa song lol c u soon! I Frank Jersin do claim any and all my winnings. Please deliver them to me. Thank you p c h for giving me a chance to win.I want 7000. A week for life.and the 1000000 cash prise. And the 15000.dollar prise and the 50000. Dollar prise. Thank you. PCHfrontpage VIP/ELITE “OWNER CERTIFICATE” Searching to claim Full Eligibility and Full Ownership, Fully Valid Prize Number to WIN UPGRADE $14,000.00 A week when the PCH Officials take an Early Look for PCH GWY. NO. 13000. WOOHOO that’s a lot of money and I would love to WIN!! PCHfrontpage VIP/ELITE “OWNER CERTIFICATE” Searching to claimFull Eligibility, Full Ownership of a Fully Valid Prize Number to WIN UPGRADE to $14,000.00 A WEEK fo LIFE when the PCH Officialas take and Early Look for PCH GWY. NO. 13000. What a mind boggling WIN. Saying my prayers. give back and help other’s in need. PCHsearch&win VIP/ELITE ” $14,000.00 AWEEK PAYOUT” Searching to claim an entry and ownership of a NUMBER to WIN $14,000.00 UPGRADE A WEEK for LIFE when the PCH OFFICIALS take an EARLY LOOK on April 26,2019 for PCH GWY. NO.13000. Thank You…Fantastic Offer. Please activate my up graded chance to win $14,000.00 a week offered by your email this date. Yes I would love to win the 7000 a week for Life prize and the 14,000.00 a week for life this would be a dream come true for me my wife and kids ❤️💙. I’m Brenda Avery and I’m Claiming my 10 entries to win pch $1,000,000. Hwy #13000. I’m in it to win it all. no.11812 vip/elite and all other attachments. I am truly Praying for this miracle to come true! 11957, and double millionaire Fortune! would help a lot of people. I am praying for my people, now! I want to give back to those who made me the person I am today. Yes! I really want to win $14,000.00 a week for life vip/elite (13000) W/ upgrades Plus anything else left over that no else wants. A week for life to win this would be a dream come true for me and my family. I’m Brenda Avery Burciaga and I claim max upgrade to $14,000 a week for life. Pch gwy #13000. This to claim and enter will secure my forthcoming prize number a top spot on the winner selection list. WIN $14,000.00 A WEEK FOR LIFE! PCHFRONTPAGE I WANT TO GET IN TO WIN $14,000.00 A WEEK FOR LIFE AT STAKES! YES THIS WINNER IS READY TO BE AWARDED FROM PCH.GWY.NO.13000! $14,000.00 A WEEK FOR LIFE AT STAKE! PLUS, Special PCH Pay Day Prizes, GUARANTEED for Award on April 26th, with a top prize of $10,000.00 from PCH Gwy. 12876 at stake. $14,000.00 A Week For Life, the MAXIMUM UPGRADE for the $7,000.00 A Week For Life Prize, as part of PCh special early look prize event. Lifetime payments would begun on April 26th, 2019. Yes I wish to be a winner yes I think Publishing Clearing House is the greatest yes I really wish the price for troll will show up to my door and say Douglas you are a super winner yes I enjoy playing Publishing Clearing House yes I wish to win the $7,000 a week for Life yes! Yes Lord I am ready to Help my Family and close friends in need. no. 13000 W/ special prize gwy no.12876 April 26th 2019. PCHsearch&win VIP/ELITE “SEARCH NOW” Searchin to Claim Full Eligibility and Sole Ownership to WIN &7,000.00 a Week for Life Stake t o secure on the Winner selection Listdring Apr.26 Special Early Look from PCH.GWY. 13000. Also when searching NOW I will also get in to WIN PCH PAY DAY Prizes up to $10,000.00 (PCH GWY, 12876. WOOHOO!! including, gwy no. 12348, 11957, 11937, 12876. I want to be the winner of the Prize of a Lifetime (PCH Gwy. No. 13000). Win $7,000.00 a week for life i am all in to win P.Fayne i am a loyal player with pch all games you see i want to win it all so you can visit eight in the heart of Cleveland, Ohio to meet the pch team i love and you will be so welcome in our city thank you all. I’m claim entries in Gwy pch sweepstakes 7,000.00 a week for life and 14,000.00 a week for forever and 5,000.00 a week for forever and upgrade and plus more and 1 million cash bonus also VIP cash bonus also and dream home also and Ford explorer and dream kitchen makeover I’m working on it all I want to win Pch Gwy sweepstakes thank you Janice DuBose yes yes yes yes win it would help me out and my family all. Super Prize gwy no. 18000 also gwy no.11812, 12348, 11957, 11937, 12876, 11000. Make big things happen to me this April 26th, I would love to be the winner of $7,000.00 a week for life. 12655 in hopes that I may win Big!! You gotta love PCH!!!!!!!!!!!!!!! What a ride…. PCH PRIORITY SELECTION VIP/ELITE IMMINENT WINNER SELECTION Searching to secure my Prize Number(s) to WIN $7,000.00 A WEEK for LIFE during your SPECIAL EARLY LOOK on Apr.26,2019. PCH GWY. 19000. AWESOME!!! Douglas Rogers wish to be a Publishing Clearing House superprize winner of the $7,000 a week for Life prize I really feel that this prize will be a dream come true for me my family and some friends and my church to win is what I wish to do. I am claiming sole ownership and activate and register Prize Number 1831 1975 1385, place on Winner Selection List, to win $7,000.00 A Week For Life SuperPrize, GWY #13000, during special early look event, 4/26/19. GET IN TO WIN. $10,000.00 IN PCH PAY DAY CASH. $14,000.00 A WEEK FOR LIFE! I’m READY to DOUBLE my Winnings! PCH, Make “All My Dreams Come True. Yes, PCH Make “All My “Dreams Come “True. I want to claim and activate an entry to win $20,000.00 Gwy.No. 12876 via this search. I want to claim entries pch$7,000.00 a week for life! vip /elite gwy no. 13000/11000 w/ upgrades. Yes! I want to win $7,000.00 a week for life! w/ upgrade to $14,000.00 a week for life! vip / elite w/ Super Prize no.18000,11000,11812,12348,11957,12876. I Lometta DeMary have been playing PCH since 1975. I was 25 Years old. Now it is my turn.What aGreat 68th Birthday that would be for Me and MY FAMIL y I have 8 kids and 29 + 1 Grad-Kids and 3 Great-Gran-Kids. God I Good. I aM ready to Receive PCH # 13000. $7,000.00 A Week For LIFE. April 26, 2019. My Birthday in on April 29,1951.GOD BLESS THE WORLD AND GIVE US ALL PEACE! PCHsearch&win VIP/ELITE Reference to your 4/20/19 memo. I am searching to secure Full Eligibility, SOLE Ownership and Complete Compiance tto WIN $7,000.00 a WEEK for Life. PCH GWY,13000 And Oh YES I absolutely would like to be SELECTED WINNER of this Fantastic Prize. I WANT TO WIN, I WOULD REALLY LOVE TO WIN……..OH YES I REALLY WANT TO “WIN IT ALL!!! Happy Easter to All. Thank You. Yes, I`m hoping to be the $7,000.00 a week for life w/upgrade to $14,000 winner on April 26,2019 giveaway no. 13000 activation code SP949. authorized for award on April 26th, 2019. PCH Pay Day (PCH Gwy. 12876). PCH Prize Patroj VIP/ELITE URGENT!! Searching to secure Full Eligibility,Sole Ownership, Complete Compliance and Final Step to WIN $7,000.00 a Week for Life.PCH GWY.13000 I am HOPING to WIN this HUGE “EASTER EGG”. Blessings to All of You!! PCH PRIZE PATROL VIP/ELITE URGENT! Searching to secure Full Eligibility, Sole Ownership, Complete Compliance and Final Step to WIN $7,000.00 A Week for LIFE, PCH.GWY, 13000 Thank you for th is opportunity!! Yes I would love to win the 7,000.00 hey week for life this would be a dream come true for me and my family. Hello l would love to win to travel to Jerusalem. If l win this $7,000.00 a week for life GWY no 11000 . SEARCH1 PCHsearch&win VIP/ELITE “Thank You” Searchingto secureFull Eligibility, Sole ownership, Complete and Ffinal Step to WIN $7,000.00 A Week for Life, GWY.13000 during the special early look 4/26/19. Thank you so much!! Search 2 PCHsearch&win VIP/ELITE “THANK YOU” Searching to secure Full Eligibility,Sole Ownership, Complete Compliance and Final Stepto WIN &7,000.00 A WEEK for LIFE, GWY.13000 during the special early look Winner Selection 4/26/19. Thank you so much and I hope the EAStER BUNNY was good to everyone today!! SEARCH 3 PCHsearch&win VIP/ELITE—“THANK YOU” Searching to secure Full Eligibility,Sole Ownership, Complete Compliance and Final Step to WIN $7,000.00 A WEEK for LIFE, GWY.13000 during the special early look Winner Selection 4/26/19. It would be my greatest wish ever to win this prize. Thank you. SEARCH 4 PCHsearch&win VIP/ELITE—–“THANK YOU” Searching to secure full Eligibility. Sole Ownership, Complete Compliance and Final Step to WIN $7,000.00 A WEEK for Life, GWY.13000 during the special early look Winner Selection 4/26/19. Thank you. SEARCH 1 PCHfrontpage VIP/ELITE “PRIZE REWARDS 2” Searching to secure Sole Ownership to WIN UP TO $10,000.00 AS PART of PCH PAY DAY, GWY.12876 Thank You. #4- I, BEVERLY BANJURA, VIP/ELITE WANTS TO SEARCH & GET IN TO WIN $7,000.00 A WEEK FOR LIFE! PCH GWY #13000 ON APRIL 26th,2019, UPGRADE APPROVED TO $14,000.00 A WEEK FOR LIFE! THAT’S $14,000.00 A WEEK FOR LIFETIME OF WINNER AND AFTER THAT ANOTHER $14,000.00 A WEEK FOR LIFETIME OF SOMEONE SPECIAL WINNER CHOOSES, WHICH FOR ME WOULD BE MY GRAND DAUTHER. I WANT TO CLAIM FULL AND COMPLETE COMPLIANCE AND OWNERSHIP TO BE ELIGIBLE TO WIN WITH MY NUMBERS SUBMITTED TO ME. MY FILE: 18&19 NP500BANJ W-06, W-07, W-61, W50, PLEASE ACTIVATE MY NUMBERS SP906 TO WINNERS SELECTION LIST. YES, I’M A DEDICATED VIP ELITE MEMBER SINCE 2004, YES, YES,YES, I WANT TO WIN SO PLEASE PRIZE PATROL MAKE IT HAPPEN, COME KNOCK ON MY DOOR WITH THAT “BIG CHECK” IT WOULD BE WONDERFUL IF IT HAPPENS. THANKS PCH SEARCH&WIN. ALSO, I WANT TO CLAIM 5X ENTRIES TO SEARCH & GET IN TO WIN UP TO $20,000.00 IN PRIZES GUARANTEED TO BE AWARDED IN PCH PAY DAY EVENT, PCH GWY #12876. For life it would be a dream come true for me. I’m claim entries in Gwy pch sweepstakes 7,000.00 a week for life upgrade and plus more and bounds cash vip also 1 million cash bonus also I hope to be the next winner in pch sweepstakes thank you Janice DuBose yes yes yes I want to win 20,000.00 cash bonus . I want to win .I’m claim entries in Gwy pch sweepstakes 7,000.00 a week for life upgrade and plus more and bounds cash vip also 1 million cash bonus also I hope to be the next winner in pch sweepstakes thank you Janice DuBose yes yes yes I want to win 20,000.00 cash bonus .May God bless you all. I want to win .I’m claim entries in Gwy pch sweepstakes 7,000.00 a week for life upgrade and plus more and bounds cash vip also 1 million cash bonus also I hope to be the next winner in pch sweepstakes thank you Janice DuBose I want to win 20,000.00 cash bonus .May God bless you all. I’m claim entries in Gwy pch sweepstakes 7,000.00 a week for life upgrade and plus more and bounds cash vip also 1 million cash bonus also I hope to be the next winner in pch sweepstakes thank you Janice DuBose I want to win 20,000.00 cash bonus .May God bless you all. I’m claim entries in Gwy pch sweepstakes 7,000.00 a week for life upgrade and plus more and bounds cash vip also 1 million cash bonus also 5,000.00a week for forever and 1 million cash bonus also VIP cash bonus also, I hope to be the next winner in pch sweepstakes thank you Janice DuBose I want to win 20,000.00 cash bonus .May God bless you all. I wish to complete all compliance requirements for eligibility and sole ownership of $7,000.00 A Week For Life PCH Gwy # 13000, and $ 10,000.00 on PCH PAY DAY PCH Gwy #12876.I want to be in it to win it. I’m claim entries in Gwy 7,000.00 and 14,000.00 and 5,000.00 a week for life pch sweepstakes upgrade and plus 1 million cash bonus also VIP cash bonus also DREAM HOME AND A DREAM COME TRUE FOR ME .Thank you Janice DuBose Yes yes yes I want to win in April come to my door with the big check. I’m claim entries in Gwy 7,000.00 and 14,000.00 and 5,000.00 a week for life pch sweepstakes upgrade and plus 1 million cash bonus also VIP cash bonus also DREAM HOME AND A DREAM COME TRUE FOR ME .Thank you Janice DuBose I want to win in April come to my door with the big check. You would help me out a lot on bills and my family . You would make my mother dream come true. I’m claim 5 x entries in Gwy 7,000.00 and 14,000.00 and 5,000.00 a week for life pch sweepstakes upgrade and plus 1 million cash bonus also VIP cash bonus also DREAM HOME AND A DREAM COME TRUE FOR ME .Thank you Janice DuBose I want to win in April come to my door with the big check. You would help me out a lot on bills and my family . You would make my mother dream come true. I WONDER IF ANYONE HAS ACTUALLY EVER WON ANYTHING FROM THIS PCHSEARCH&WIN. PROBABLY A SCAM. 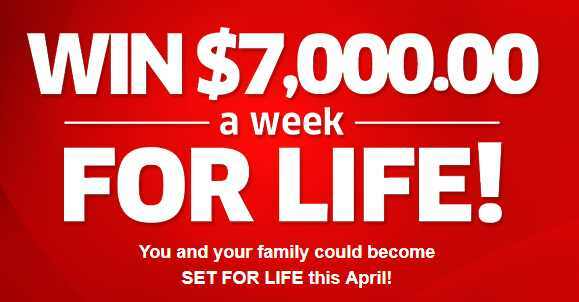 Today is the last and finial day to win $7,000.00 a week for life April 26th 2019. Please surprise me with one of Publisher Clearing House Prizes. IM IN IT TOO WIN IT ALL NOW! Yes I want to win… this would just a great opportunity… $7000a week would b a life changing experience for the better.. I want to be the winner of PCH $7,000.00 A Week For Life on April 26, 2019 . This will help me pay my kids college fees and my church. I have accomplished a VIP status with PCH. Three searches and hopefully 3 entries to win $10,000.00 PAY DAY entries Gwy. 12876. I claim and wish to activate these entries. I have my fingers crossed and hoping to win a prize. Time will tell and the date is 4/26/2019. I want to be the winner this April 26th, 2019. of $7,000.00 a week for life! please grant me that opportunity. WIN UP TO $10,000.00 from PCH Pay Day Gwy. No. 12876 when I SEARCH NOW! Plus, searching now I get 2X Entries to Win $100,000.00 CASH! I Want to win $7,000.00 a week for life on April 26, 2019. Winning this prize will help me pay my children college fees and help my church. I’M SEARCHING FROM ALL 10 BUTTONS to Claim ALL 20 Entries To Win! Plus, 10X Entries TO Win A VIP $100,000.00!